Wall Art, Tree People - $49.50 (in store)This piece embodies the natural flow of humans and nature. 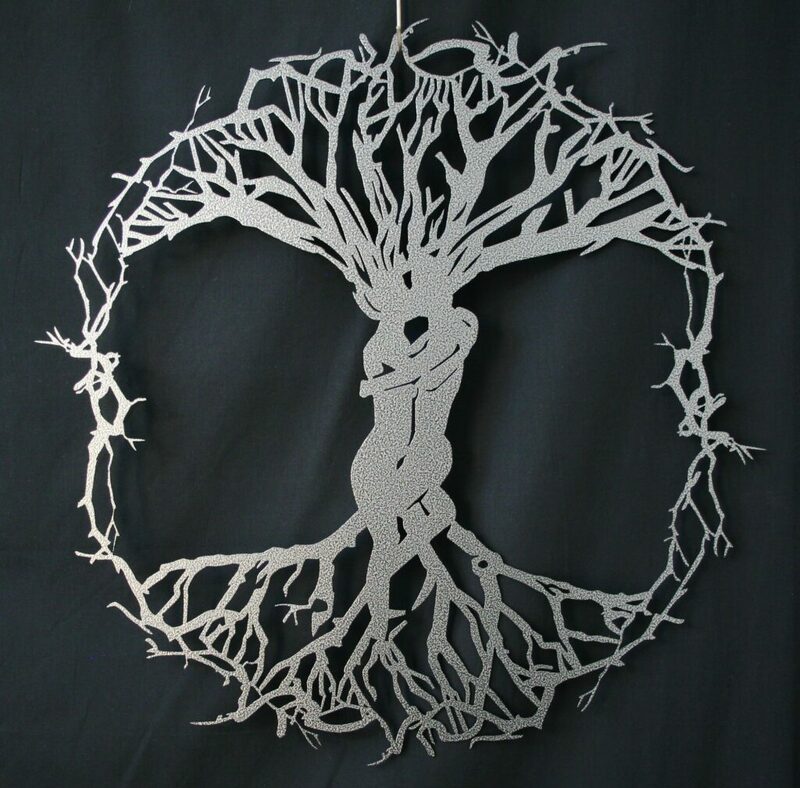 The origins of love and peace are shown through this organic piece of human-like forms fluidly intertwined with tree forms flowing outward. This lovely piece is painted with a durable interior/exterior powder coating in Silver Vein; charcoal undertones contrast with metallic silver in an organic circle pattern having a smooth yet mild texture complete with a crisp semi-gloss finish. 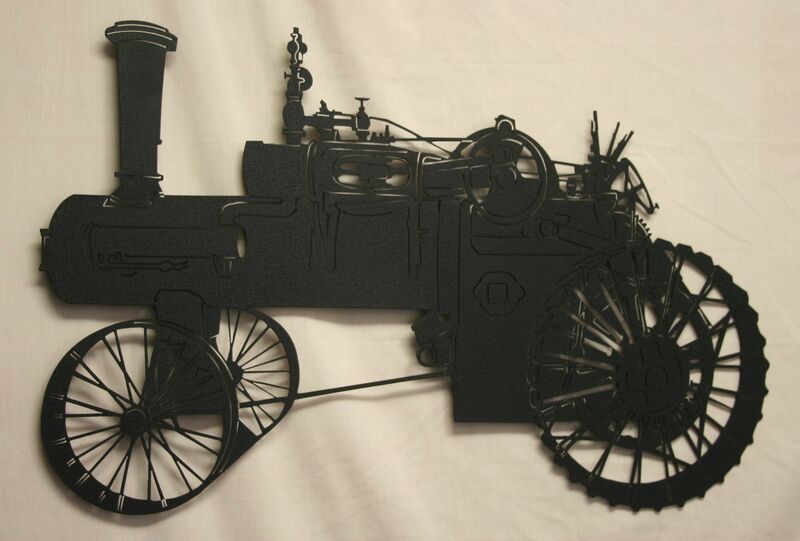 Wall Art, Steam Tractor - $48.40 (in store)The nostalgic steam tractor dates back to days of the late 19th century, early 20th century. Fine detailing gives an accurate representation of this historic piece capturing the mechanical beauty of the industrial era itself. This piece is finished with eco-friendly, durable powder coating in Black Wrinkle, elegantly textured black with soft slate metallic shimmering undertones and matte finish that will match any décor. 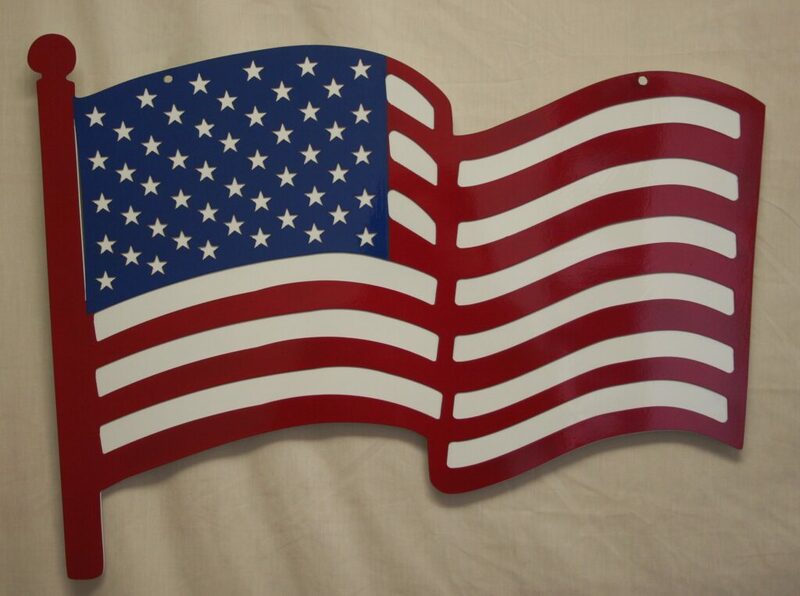 Wall Art, USA Flag - $70.00 (in store)This ceremonious symbol of the U.S.A. waves proudly with durable interior/exterior deep gloss red, bright white gloss and patriotic gloss blue powder coating. Your new metal flag displays your enduring patriotism that's easy to keep clean and shining for years to come. Two holes at the top fit 1/4" nails or screws making it easy to hang indoors or out. 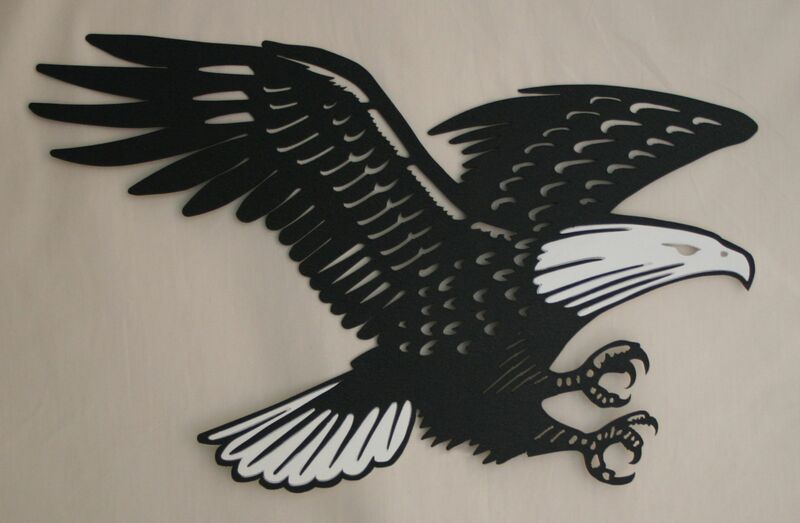 Wall Art, Eagle - $48.40 (in store)The majesty of a soaring bald eagle reminds us of the freedom and independence our nation has come to admire. Strength and courage flow nostalgically with this piece admiring our country's gusto and spirit. Show your love for this majestic animal, the freedom it represents or the patriotism it implies. This piece is finished with a durable powder coating in Black Wrinkle, an elegantly textured black with soft slate metallic shimmering undertones under a soft matte finish. His stately dark figure nostalgically frames the iconic bald eagle markings with the gentle matte finish of the elegant White Wrinkle, shimmering with metallic slate-like texture. 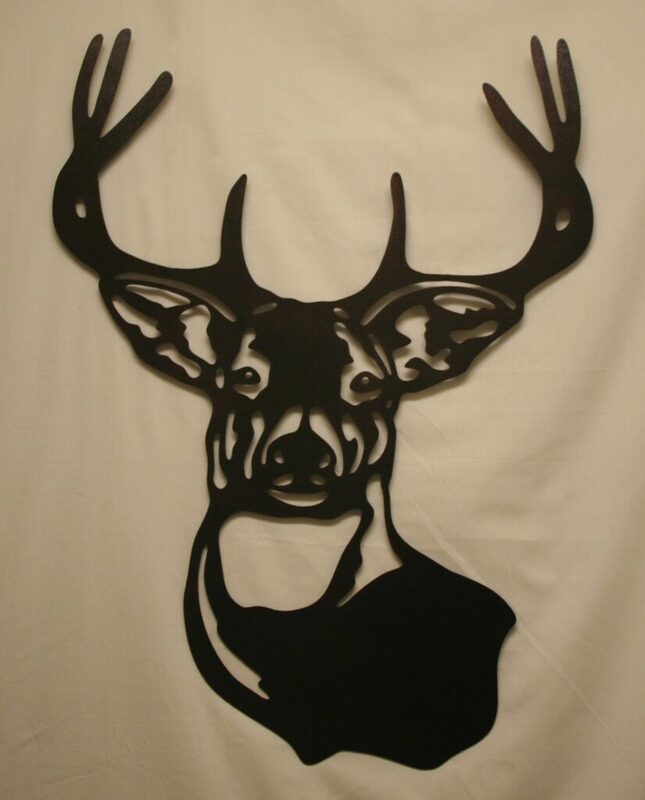 Wall Metal Art, Buck Mount - $66.55 (in store)Thick flowing masculine lines lend a modern feel to this handsome buck. His daring gaze fosters a hunter's love for this elegant game animal. Whether a lover of the hunt or admirer of nature, this piece shows the outdoors man in your heart. This piece is finished with durable powder coating in a rich Copper Vein, a durably textured, rich deep brown with slight black undertones and complimentary semi-gloss finish. 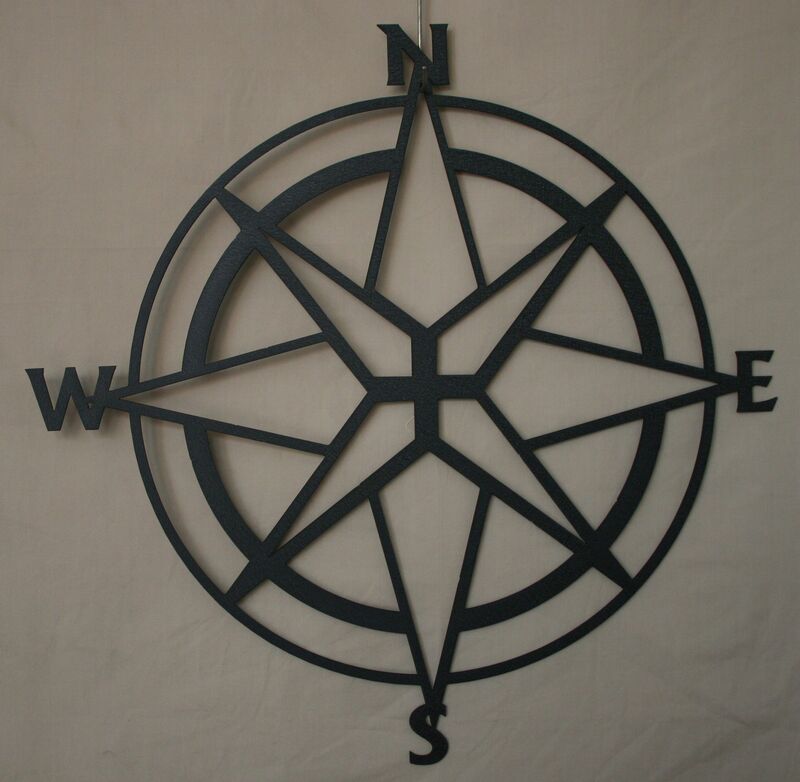 Wall Metal Art, Compass - $38.50 (in store)Whether you have a love of travel, appreciate the helpful tool or just enjoy the geometric look, this simplistic compass design shows your pursuit of happiness in life. Bring your décor in a new direction inside or out with the durability of powder coating in a sleek Black Wrinkle, an elegantly textured black with soft slate metallic shimmering undertones and matte finish, going well with any decor inside or out! This also means the piece is easy to wipe down, allowing the finish to last as long as you do.